Built on the site of Nero’s palace in 80 AD, the Roman Colosseum entertained 55,000 spectators at a time with deadly gladiator and wild animal fights. Over 9,000 wild animals were killed during the inaugural games. 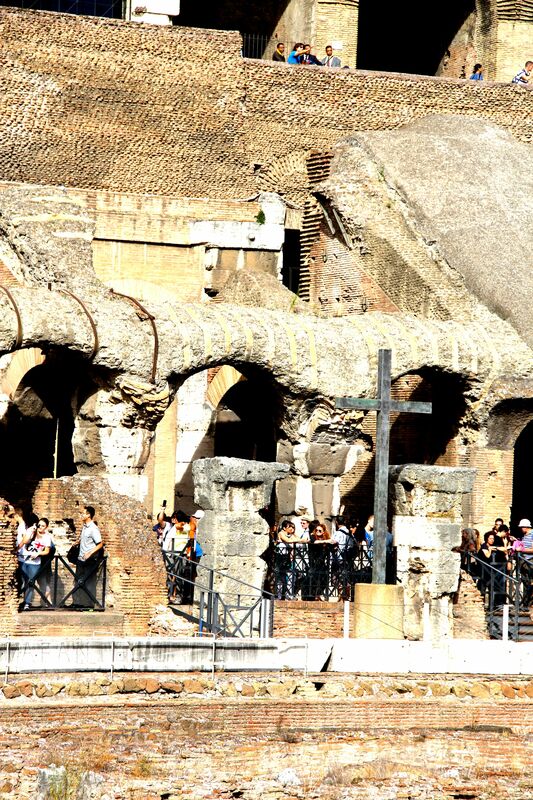 Some sources say that Christians were persecuted outside the Colosseum. Early entertainment focused on death. others were tortured, not accepting their release, so that they might obtain a better resurrection; and others experienced mockings and scourgings, yes, also chains and imprisonment. They were stoned, they were sawn in two, they were tempted, they were put to death with the sword; they went about in sheepskins, in goatskins, being destitute, afflicted, ill- treated (men of whom the world was not worthy), wandering in deserts and mountains and caves and holes in the ground. 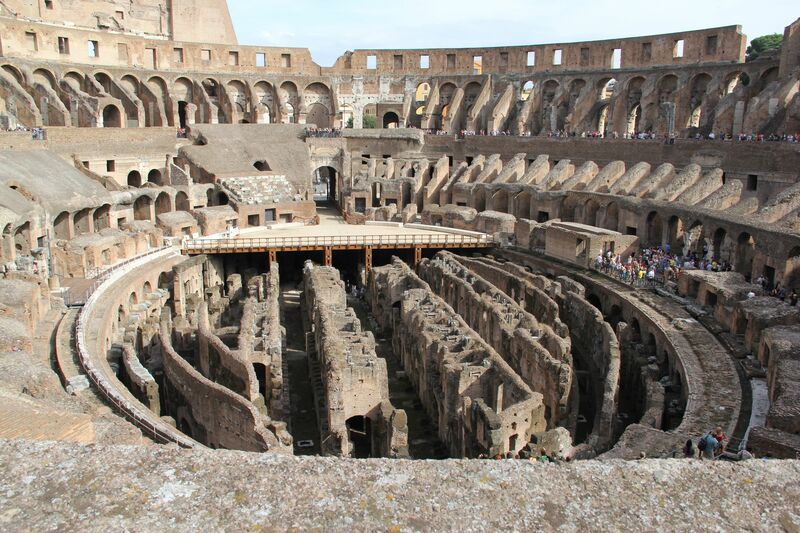 Keith and I recently climbed the Colosseum’s stone and marble stairs, walked the levels, and imagined the slaves, gladiators, prisoners of war, and wild animals as they awaited their battles and eventual death. We dodged the tourists mindlessly snapping photos, circled the amphitheater, and stopped directly across from the emperor’s box. The emperor’s thumb up saved a life; a thumb down took a life. A cross stood in front of the emperor’s seat. An estimated 4.4 million people visit the Colosseum each year, and there that cross stands as a memorial to those who died inside and outside that great arena. What men meant for evil, God meant for good … for a memorial to the death of His own dear Son, Jesus, on the cross, and His resurrection from the dead, so that all who believe on Jesus will be saved from their sins. Righteous Father, awaken us to the memorials You have placed in our paths. May we be living memorials to Your righteous and true nature as we walk the path that You have given us. Thank You for the memorials that You have placed along the way. ← What’s God’s promise for you … “so that”?